Novi, MI (March 01, 2019) Homebuilders are striving to lower costs of builds, while adding efficiencies and enhancing the relationship with the buyer. BuilderVision™, the latest homebuilding solution from Chameleon Power, the leader in customer-facing visualization solutions, provides the ultimate solution for addressing the builders needs and goals. The new BuilderVision™ solution is a scalable combination of checklists/selections, photographic and 3D visualization, a swatching tool and a pricing module. The suite is integrated into the builder’s website and accessible during the pre and post-sales process. BuilderVision™ was announced at the International Builders Show on February 19th, 2019, and is available for integration immediately. Additional tools for home builders include an AR Lot Selector, VR home design tools (virtual walk-thru WITH selections) and complete 3D render services. 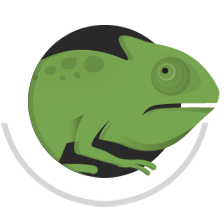 Chameleon Power technologies and services increase conversion rates by as much as 75%.